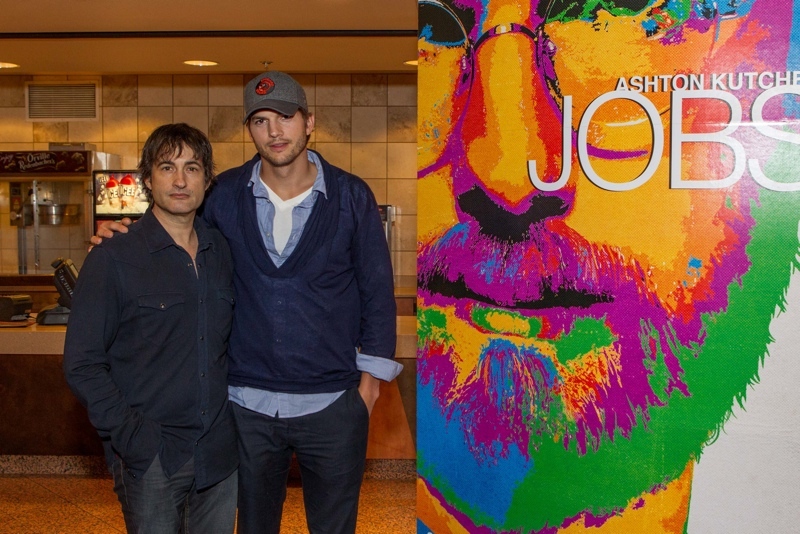 MacRumors attended a promotional screening of "JOBS" in San Francisco last night, where Ashton Kutcher and director Joshua Michael Stern held a question and answer session that covered a variety of topics on the production of the movie. Kutcher, for the most part, expanded on the ways that he slipped into the role of Jobs, and pontificated on what loyalty might have meant to the former CEO. While Kutcher has made a number of appearances to promote the movie, speaking multiple times about his preparation for the role of Steve Jobs, he shared a few new details last night. Kutcher explained the physical demands of the role, which included the mastering of the Steve Jobs walk over the course of the three months that he prepared for the part. Kutcher attributed Jobs’ walk to his penchant for bare feet, which contributed to his odd lope. He suggested Jobs probably stubbed his toes fairly often, causing the unique gait where he picked up his feet while walking. Kutcher also noted that he went as far as studying the same books and artists that Jobs once did in order to get into the right mind frame and learn his aesthetic taste. Throughout the interview, it was clear that Kutcher had a great respect for Jobs, and he mentioned that he deeply regretted forgoing a chance to meet Jobs just months before he passed away. “I loved a man I never knew,” he said. When an audience member asked Kutcher how he thought that Jobs would define loyalty, Kutcher initially declined to answer, but went on to discuss Jobs’ relationship with some of the earliest Apple employees, including Daniel Kottke, who was not awarded Apple stock. Director Joshua Michael Stern also shared his thoughts on the question, explaining that someone had told him that Jobs was not a sentimental person. According to Stern, sentimentality draws from the past and Jobs didn’t live in the past–he was always looking towards the future. 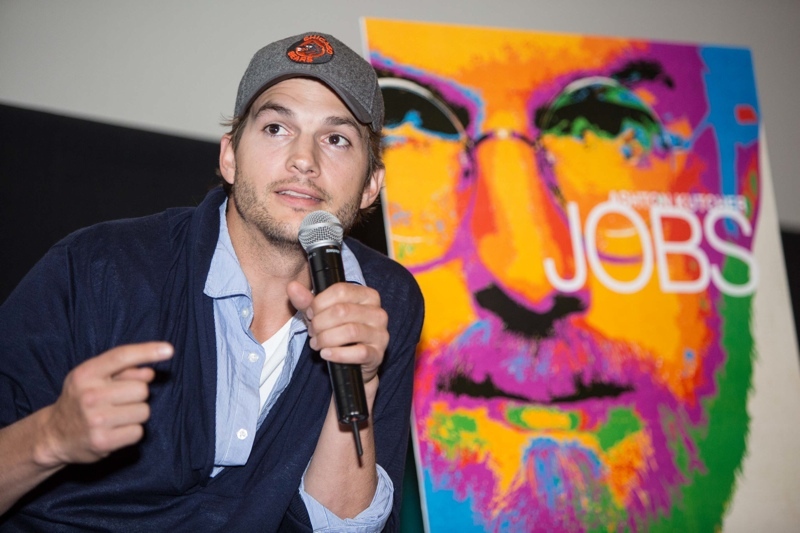 The JOBS movie, starring Ashton Kutcher and Josh Gad, is set to hit theaters next month on August 16. What's with all the Ashton Kutcher articles lately. Is Arn on vacation or something? WHAT THE HECK is up with all these Ashton Kutcher stories? How much more is this going to go on for? How much more can Ashton talk about playing Steve Jobs? Can MacRumors give this topic a rest already?! I just wish they hadn't cast Josh Gad as Steve Wozniak. We still don't care about this movie. Please stop writing about it MR.
Steve was and is the man. What I have seen so far is one step up from an SNL sketch. Me too. It's not like there are movies about tech figures coming out often. I'm just going to try and forget it's actually Ashton Kutcher on the screen. Please let this movie come out already so we can be one step closer to the cessation of these awful articles. And one step closer to the good Aaron Sorkin movie. judging from the trailer the film looks really nice, i hope it breaks records at the box office.